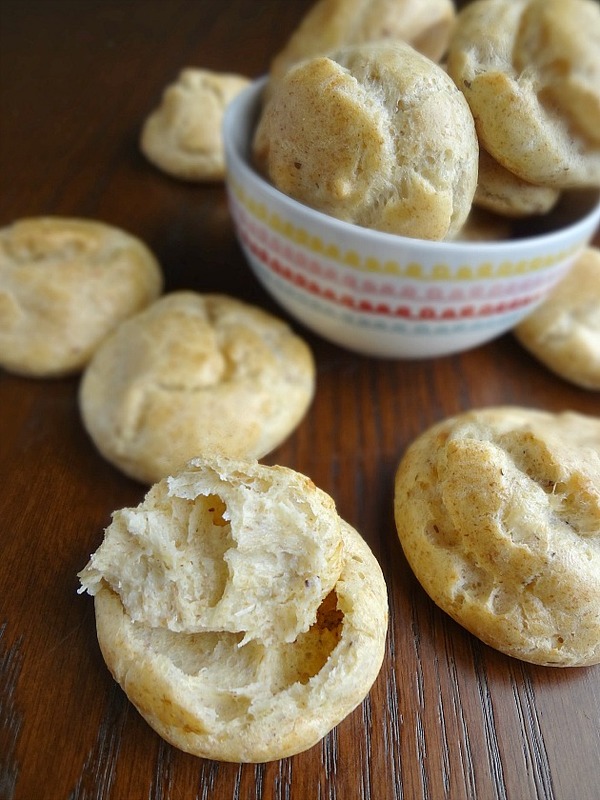 Adapted from Out of the Box Food's "Whole Grain Gougeres"
Makes approx. 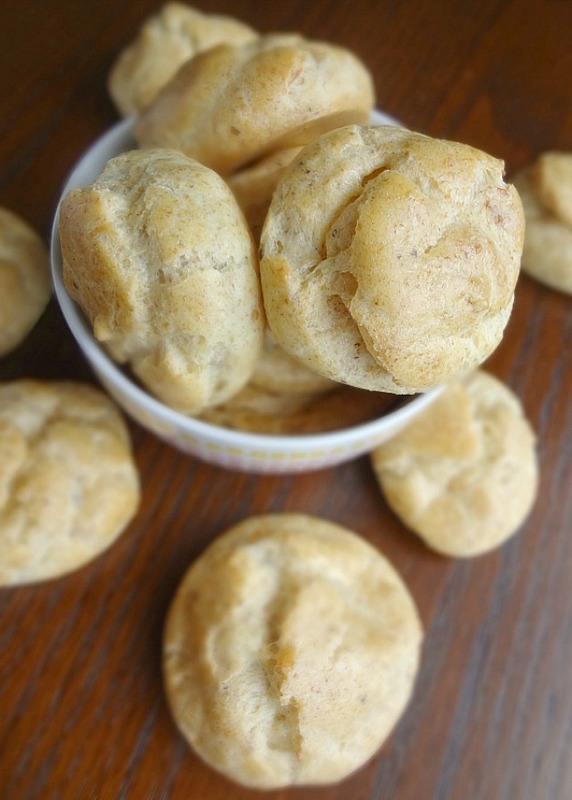 20-30 gougeres, depending on size. In a medium saucepan bring water to a boil. Stir in butter and salt and let the butter melt. In a small bowl, whisk together the flour(s) and flaxseed meal. Once the butter has melted, quickly remove the pan from the heat and add in the flour mixture. Beat constantly with a wooden spoon or silicone spatula until it forms a ball. Return to heat and cook for 2 minutes. Transfer the dough to the bowl of a stand mixer fitted with the paddle attachment, stir on medium speed for 1 minute or so to release steam from the dough (this prevents you from cooking the eggs when you add them)--if you do not have a stand mixer just stir vigorously with a spoon until the steam has released. 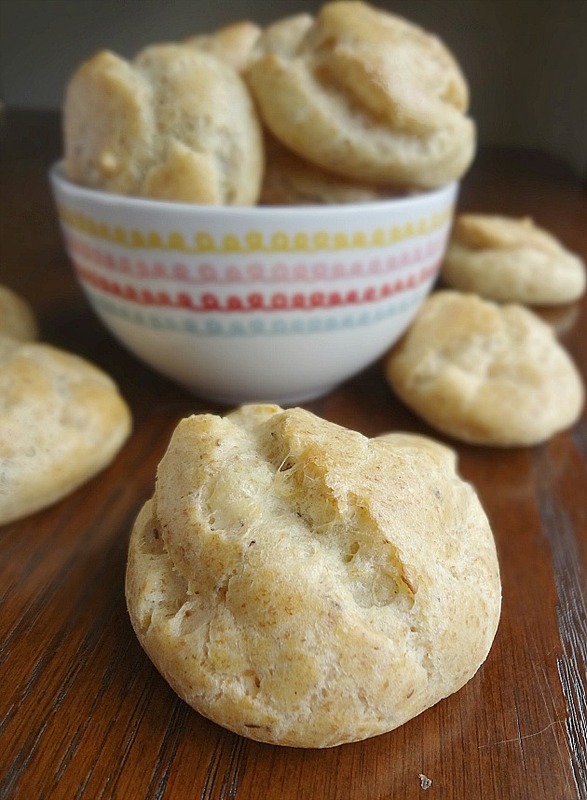 Mix in roasted garlic, cheese, and seasonings until incorporated. 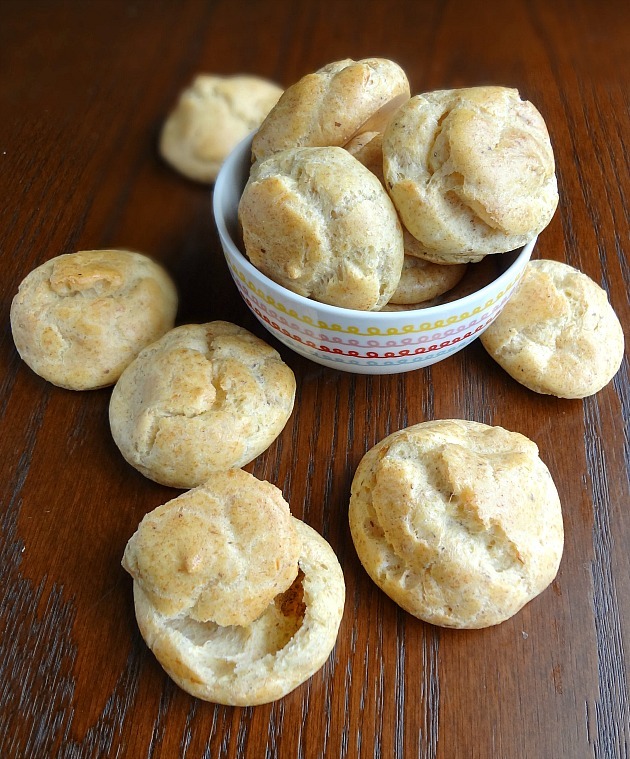 Use a spoon, scoop, or piping bag with a 1/2" round tip to form dollops of batter onto prepared baking sheet. The dollops should be about 1 and 1/2 inches wide and spaced about 1 inch apart. Bake for 20-25 minutes, until golden brown. Cool and serve! I kind of want to fill the center with mashed potatoes...is that weird? 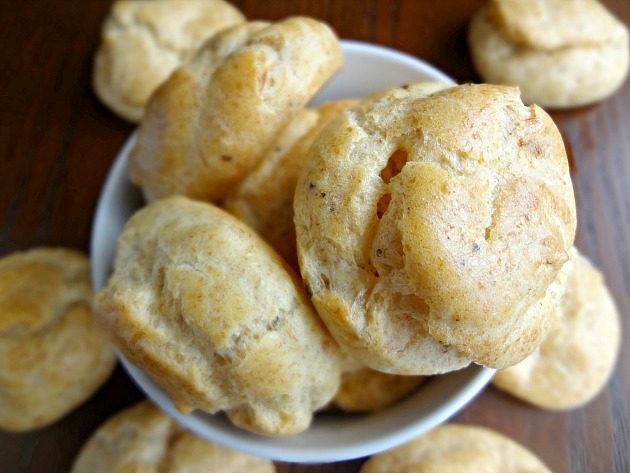 Like a savory cream puff?